The ultimate in total body relaxation, G2 is a cross of Gelato x GG4. This Indica-dominate Hybrid has an Earthy aroma with a touch of sweetness on the exhale. 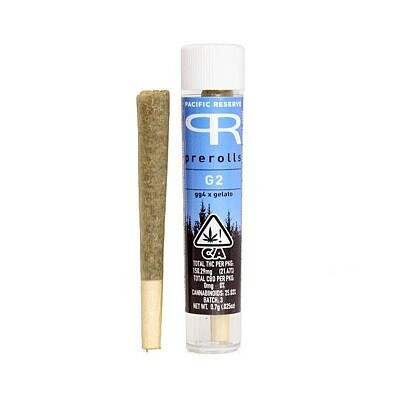 <BR><BR>Pacific Reserve Prerolled Joints are .7g - the perfect size for solo smoking or sharing.